This is a simple method for creating pets for the newbie. First you will need a lubuntu DVD for the version of puppy you are using. Lubuntu 16.04 (64 bit) for Xenialpup64. Lubuntu 16.04 (32 bit) for 32 bit Xenialpup. Lubuntu 14.04 (32 bit) for 32 bit Tahrpup. Now boot up the DVD. Read the instructions below on what key to press to edit the menu entry. It is usually tab, or F6, or e to edit the menu entry. Enter toram just before "---". Read the instructions below on what key to press to boot from this. It usually is F10. Use your browser to find the ppa:adress of the ubuntu program. Now press Ctrl-Alt-T for the terminal. When it ask you for a password press enter. Keep pressing enter till "add-apt-repository" command is finished. Click on the menu button, go to system, synaptic. When it ask for authentication, press enter. Now press reload on the top left side of the screen. Enter in the name of the program you want to search for. Once you have found the program, right click on it, click on mark. Click file, Generate Package Download Script, and save it to hard drive or flash drive. Now boot up your puppy. Create a directory for your program. Copy the download script to the directory. Right click on the script, choose properties. Make sure the executable properties are checked. Now in rox, right click on this directory, windows, terminal here. This script will download all the debs needed by the program. Now you will need to download alien2puppy-0.2.tar.gz script. Copy this to the pet folder. Right click on alien2puppy, choose properties. Make sure the executable properties are checked. ./alien2pup -p "name of program-version.number"
Follow instructions that alien2puppy gives you. Now when it makes the pet click on it, and install the pet. Now in the terminal type the name of the program. If you are lucky, it will start up right away. Copy the name of this file. Bring up your Puppy Package Manager (PPM). 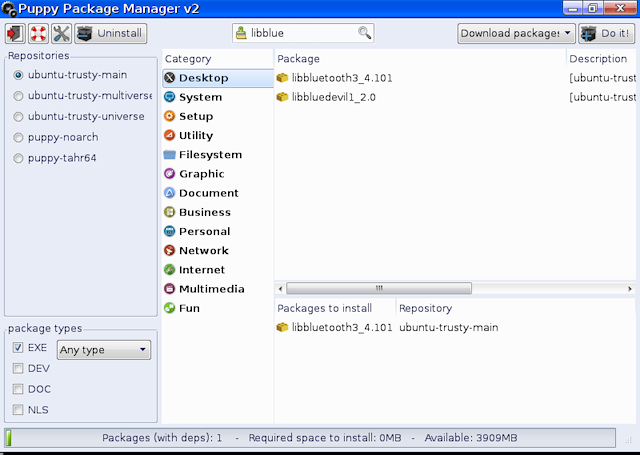 Click Configure Package Manager. Update the database. Now paste the file name in the search box & search for it. Click on the line, that the file is in. 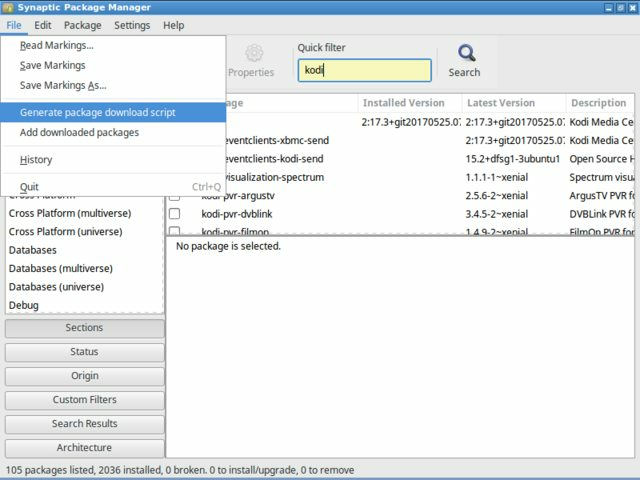 Now at the upper right hand side of the Puppy Package Manager, set it to download. 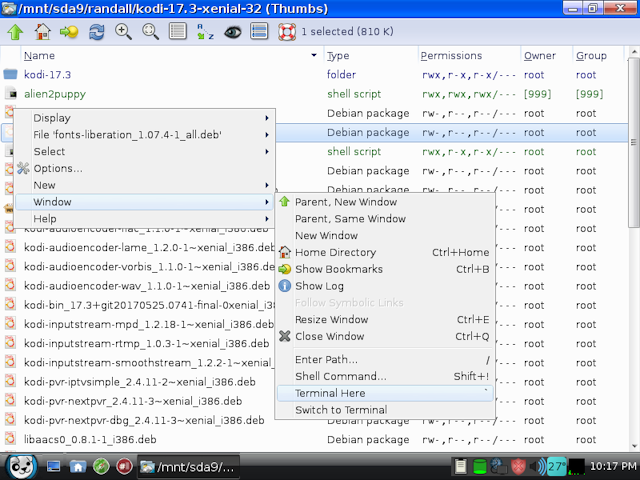 You should find the deb file in your root directory. Copy it to your pet directory. Click on the deb and install on it. Go to your terminal and type the name of the program. If it does not start up, do step 4 again. When the program works, delete the old pet from the pet folder, restart alien2puppy, and create a new pet. May you go forth & create new pets. Thanks, this is nice. It would be even more useful if you'd given links to download the various Lubuntu versions you mention. Interesting approach, although for recent versions of Ubuntu you can find the binaries online on official Ubuntu web sites in which case one could avoid using synaptic. Using using synaptic, gets all the dependencies needed for the pet. Should we package all the dependencies together with the pet? Perhaps so if we have a post or pre install script that first checks if the package is already installed. Perhaps it's worth mentioning that you can use synaptic to "download but not install". When you do so, the downloaded debs will be found somewhere in /var; I think /var/apps/cache or something like that. [Not running an Ubuntu right now so am relying on my often flaky memory]. The downloaded debs can be copied/moved to a location and then combined into an SFS via PaDs. http://murga-linux.com/puppy/viewtopic.php?t=81511 The resulting SFS can be mounted, its contents copied to a folder and re-combined into a pet via dir2pet. [Just an alternative to alien2puppy]. ldd name_of_application --that's a small "L", dd, an acronym for List Dynamic Dependencies. which will generate a text file named missing.txt in /root of all the application's dependencies. Those missing will be noted by the words "not found". Thanks, Lassar, for posting this "How to". I haven't tried it yet, but it may be a method for overcoming a problem I otherwise haven't solved: building pets which are dependent on python. ldd is useless in determining which python "modules" are needed by applications built against the python framework. 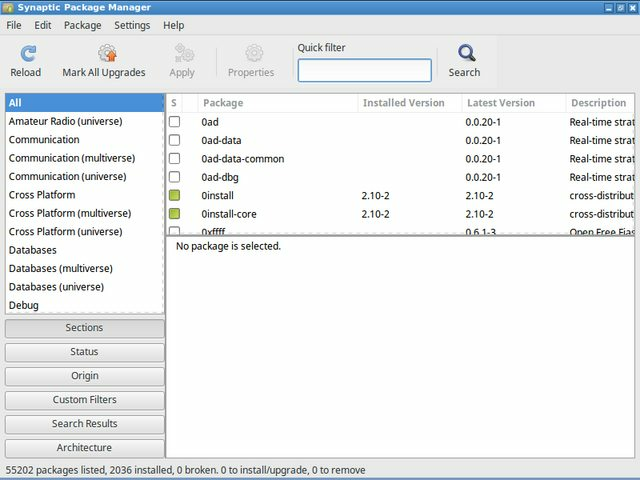 But synaptic package manager may specify them in the Package Download Script. Lastly, if the application is dependent on python, use alien2puppy --or the technique of PaDS, mount SFS, copy to folder, dir2pet-- to build pets. Don't build SFSes. Under Puppy's "Merge-file-system", SFSes have lower priority than applications "builtin-by-dev" or installed into SaveFiles/Folders. Consequently, the python files in an SFS may be ignored. Interesting you should mention about the 'python problem', Mike. I've got a Logitech ZoneTouch T400 mouse, which I bought around 4 yrs ago.....during the final supported year of XP. It's somewhat unusual, in that it utilises a 'touch' or 'stroke strip' (as I call it) in place of the scroll wheel, which works just like a laptop's touchpad. Best mouse I've ever owned (fits my hand to a tee), and currently it's still going strong (notwithstanding a strip-down 12 months ago to clean the micro-switches inside). There is a Github 'project', (called 'Solaar' (by Daniel Pavel) to afford the equivalent behaviour under Linux, for all devices supported by Logitech's 'Unifying receiver'.....which allows the pairing of up to six wireless devices to a single, 'nano' receiver. Which, let's face it, is neat. It can also read battery levels, etc. I've been half-heartedly 'tinkering' about with this for the best part of 2 years now.....the 'kicker' being that the damn thing's written entirely in Python, and even with the correct versions (and modules) of Python installed in both Tahr (and Tahr64) through the PPM (in the correct locations, too), it steadfastly refuses to run. I'd like to get a version of this working, because the current release now supports far more mice than the original did.....and make it generally available to all Puppians. 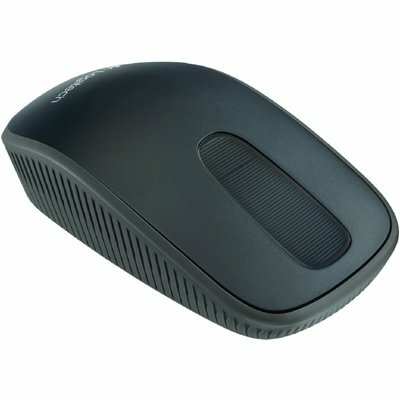 I can't be the only one with a Logitech mouse/Unifying receiver combo! And I freely admit that my scripting skills are far from even 'average'.....although things are slowly improving as the months go by. Lassar's approach is indeed interesting, if a wee bit cumbersome for my liking. I came to Puppy to get away from Canonical's annoying habit of insisting on updating the kernel every couple of days.....and after 'Trusty's 2nd 'point release', support for the elderly graphics chip in my old Compaq desktop had been 'dropped', in favour of newer hardware. Every time I opened anything at all requiring use of Unity's 3D hardware acceleration, the system simply froze up and crashed. The ATI Radeon XPress 200 chip still works perfectly (even under newer Puppy kernels than Trusty's k 3.13), because Shuttleworth's mob would play around with the kernel, and edit it to their liking.....and tailor it to King Mark's 'vision' of what Ubuntu users ought to be running his precious OS on! Looks like a nice mouse. Maybe post a link to your recommendation on the "Hardware-- What works" Thread/SubForum. On this side of the pond it can be found on ebay for about $14. I'm glad you posted as it got my mind working in this area again. A couple of years ago while working on this problem, http://murga-linux.com/puppy/viewtopic.php?p=687761#687761 I used jejy69's LxPup apt-get-test to acquire, via its builtin synaptic, debs which then could be used in other Puppies. But, as Puppy was my first Linux, I was --still am-- unaware of all the "bells and whistles" synaptic has. Lassar's instruction "Click file, Generate Package Download Script, and save it to hard drive or flash drive" came as a welcome surprise to me. Now having Lassar's detailed instructions, your objection to using Ubuntu and my prior use of jejy69's LxPup apt-get-test in the forefront of my mind, an alternative to burning an Ubuntu CD/DVD occurred to me: The DebianDogs. MintPup (Trusty LST) --only 32-bit-- and XenialDog --both 32 and 64-bit flavors-- use Synaptic and apt-get to access Ubuntu Repos. Unlike Ubuntus, you don't have to burn their ISO to CD/DVDs or install them to USB-Keys. Rather, like Puppies, you can mount their ISO and copy the necessary files to a folder from which they can be booted into by adding a schema to grub4dos' menu.lst. The debiandogs are rather nice OSes in their own right. But, except for a couple which employed Xfce as Window manager --and regretfully there isn't an Xfce 64-bit Tahr or Xenial version-- I'm just not happy with their menus. But they do include tools for creating SFSes --albeit using the suffix ".squashfs". Might only require a "rename" to be used in Puppies. I haven't tried, but the obverse frequently works (usually not needed as debiandogs have a method for using squashfiles with the sfs ending). Short version: Rather than burn a CD/DVD, do a frugal install of MintPup (Trusty LST) or XenialDog.